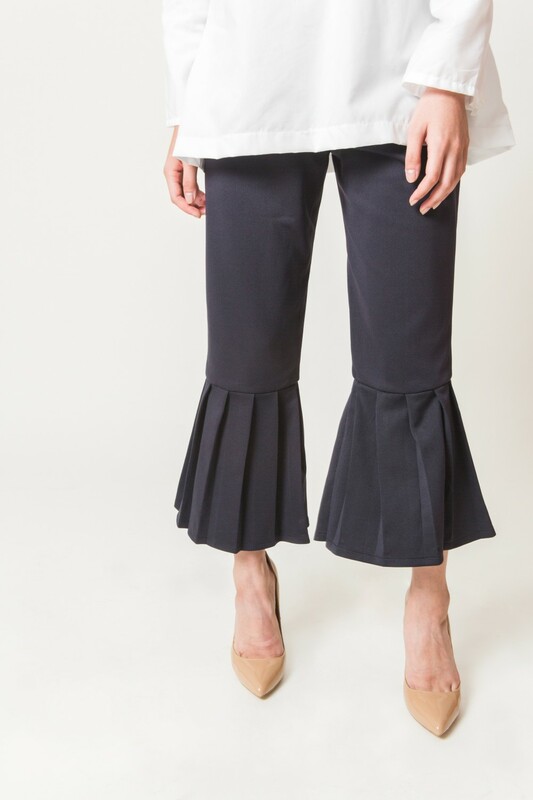 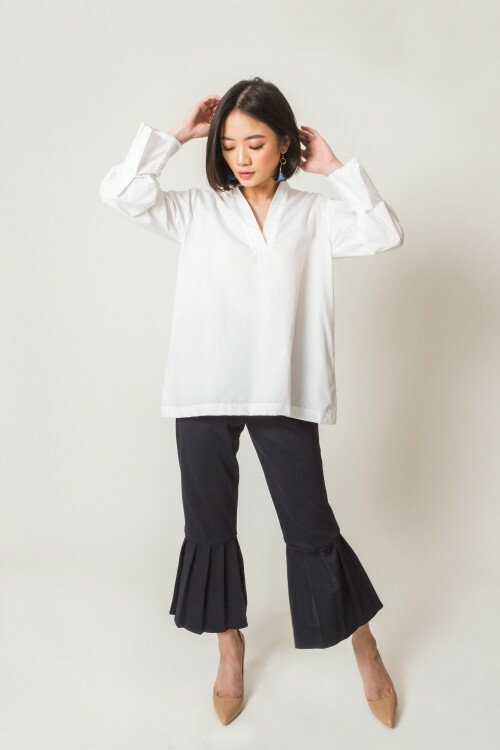 Midi length high waist pants with pleated bold hems that fall and flow as you walk. Features hidden side zipper for easy slip on. Briana is also available Maroon.